Today went even better than yesterday. I woke weighting in at 184.3 and had a cup of coffee, packed my meals and headed to the gym. On the way in I took a scoop of iX3 pre alpha. Hit a hard back, trap, and bicep work out followed by 400 calories of cardio on the elliptical. 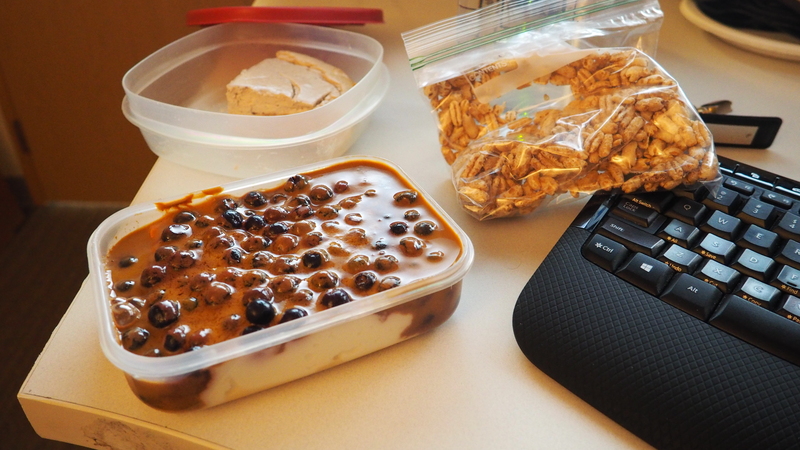 Once the eating window opened I had Greek yogurt, blueberries, PB2, MTS no bake cookie whey, and some 3 musketteers minis. Along with that I had a slice of protein PB&J cheesecake. I will post that recipe tomorrow. For lunch I had two pieces of Daves Killer Bread thin slices and homemade chopped liver and sugar free and fat free vanilla pudding. Finishing off the eating window with dinner was leg of lamb, Asian veggie mix, a Einstein Bros whole wheat bagel and two slices of fat free American cheese. 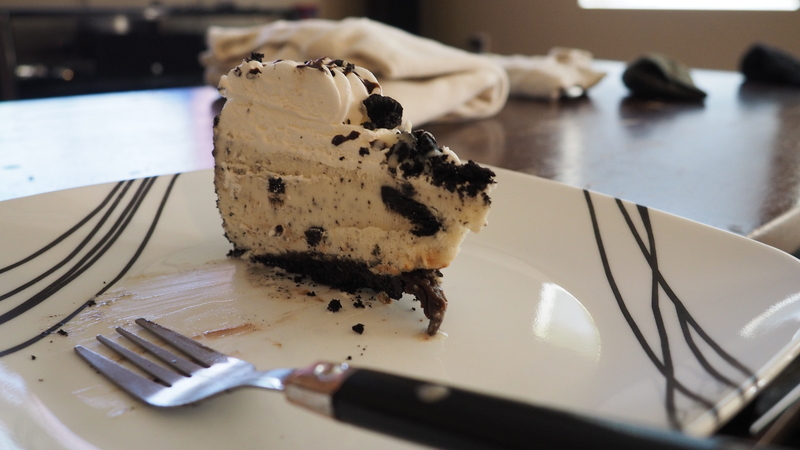 Just before the window closed I topped it off with a slice of TCBY cookies and Cream pie. 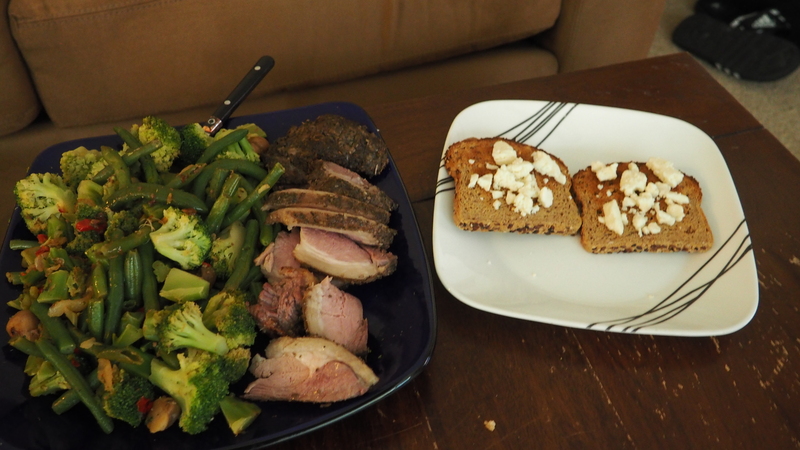 I hit my training day macros as expected and have been enjoying what I am eating. Not really having any cravings. I am finishing off the chopped liver and leg of lamb tomorrow so I will be back on some chicken thigh. I have been Sous Vide cooking it and with be coming up with some ways to spice it up a bit. Starting tomorrow I will be back on taking some pictures. I also hope to get back to taking video and trying to Vlog. Have a good night! Long time no see! Back on the grind! How’s it going everyone? It’s been a while since I have been on here but time to get it back started up! A lot has happened since my last post. 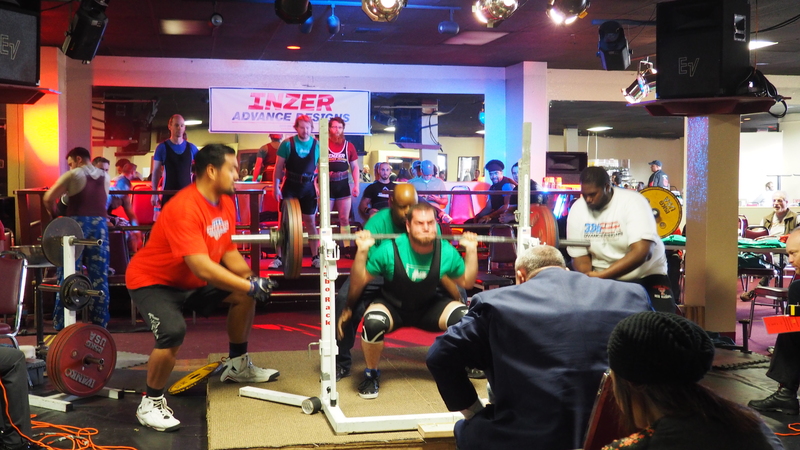 First off I competed in my first power lifting meet in February. 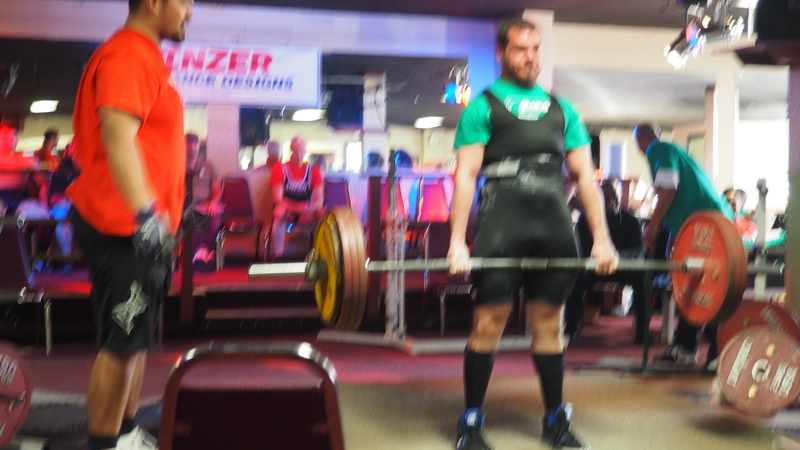 I hit 375 on the squat and hit all three lifts, hit 252 on the bench only completing one of the lifts and I am focusing on bringing this up as much as possible, and hit a PR of 452 on deadlifts hitting all three lifts. 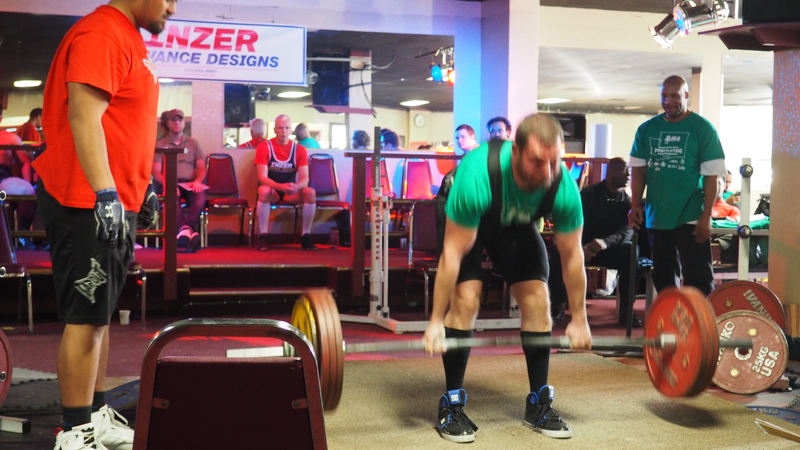 I weighted in at the meet at 178 and qualified for raw nationals in two weight classes. I also dealt with a little health scare in that I had to get a biopsy on my thyroid. This is was from a yearly checkup on a lump on it that grew enough that they wanted to check into it. The first results came back indeterminate so they had to do another one that came back the same. They were able to send it off for molecular analysis and luckily after 2 months of sitting on pins and needles I found that it is not currently cancerous. The doctor did say that in 6 months if it has increased in size at all they are going to remove half of the thyroid, but we can cross that bridge in 6 months! I switched gyms and now have a true and reliable lifting partner. Finally I reverse dieted back up to 180ish and have started cutting back down! My coach and I have been working getting things dialed back in but I think after last week we are getting back rolling. Currently my macros are training days 250c/55f/220p and rest day 200c/55f/220p. This week I am doing a refeed on Thursday. Ready to get back lean and back on updating this again with some new recipes and food options! I am toying with IF or intermittent fasting to see how it goes. 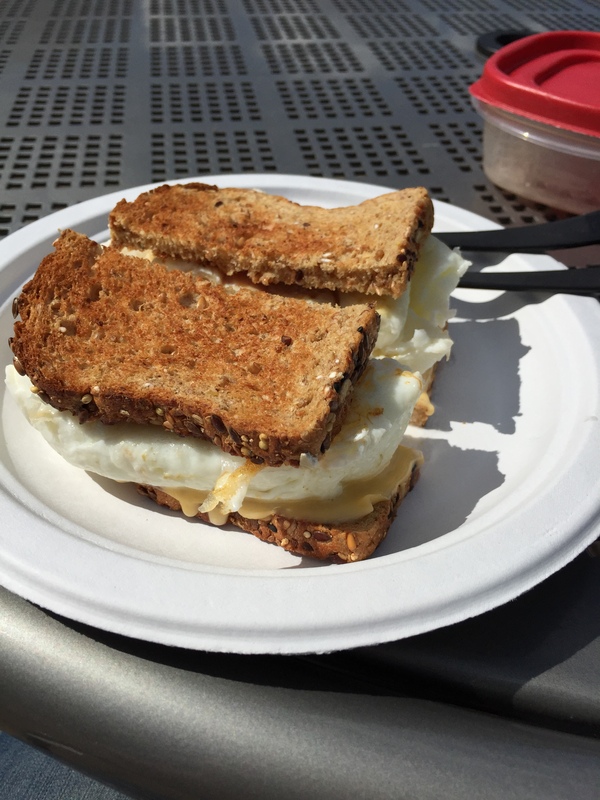 I am using a 16 hour fast and 8 hour feed. My fast is from 4:30PM to 8:30AM and eating from 8:30AM-4:30PM. During the fasting time the only thing that I can consume is 0 calorie items such as water and coffee and zero calorie sweetener. Hope everyone has been good now lets Do Work!